Talc, Mica, Sorbitol, Aqua, Phenoxyethanol, Propylparaben, Butylparaben, Sodium Dehydroacetate, and Isobutylparaben. The Body Shop Brush on Radiance (Rs.1295/- for 28g) brightens up my fair skin by giving a healthy glow with a dewy finish. The highlighting powder sits neatly on my skin even on the hot summer days without bleeding out too much. 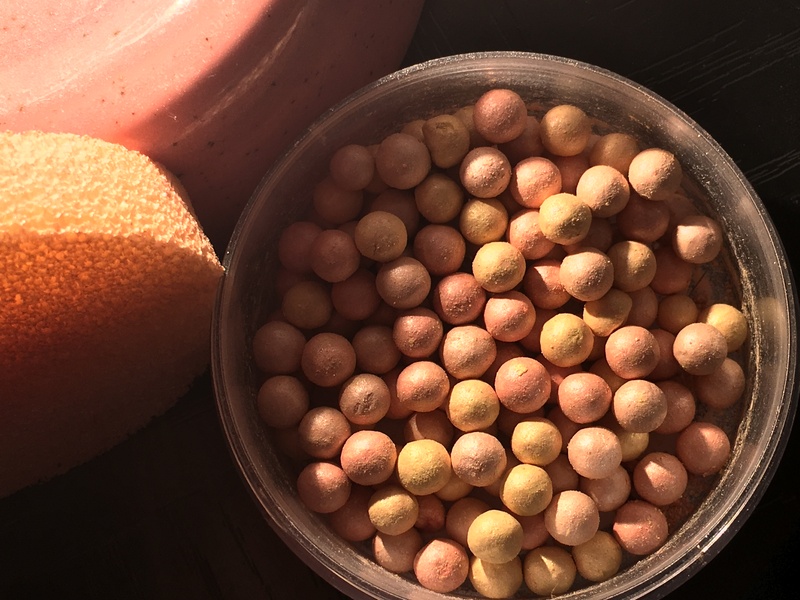 The product is a great reflector of light and when the sun bounces on the highlighted parts of my skin, it’s iridescent particles reflect light with abundant pay off. Once applied, it stays on for 10-12 hours easily. 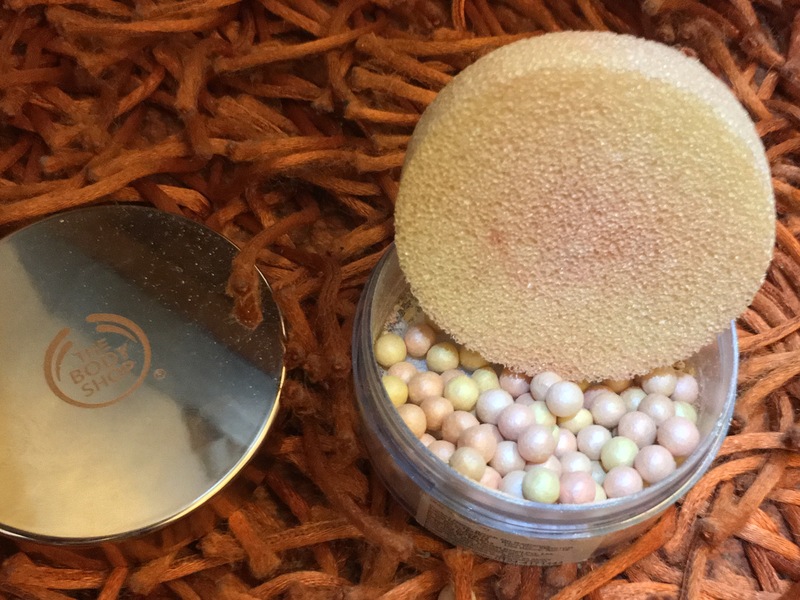 The finely-milled powder pearls comprise of three colors – bronzed rose, light-gold and champagne pearls to provide you with sun-kissed luminosity! I love this product because it is super shiny and not at all greasy unlike so many high-on-liquid highlighters. The highlighter gives a healthy glow and a healthy shine, but never over-the-top sparkles of glitter. It’s been more than 6 months since I purchased this product, but I feel I have hardly used any – the longevity of this product is admirable! Swipe it on your cheeks, bridge of nose, cupid’s bow as a highlighter or use it on your décolletage for night time party scene or simply use them on your legs and hands for a sensuous effect – it has multiple uses. 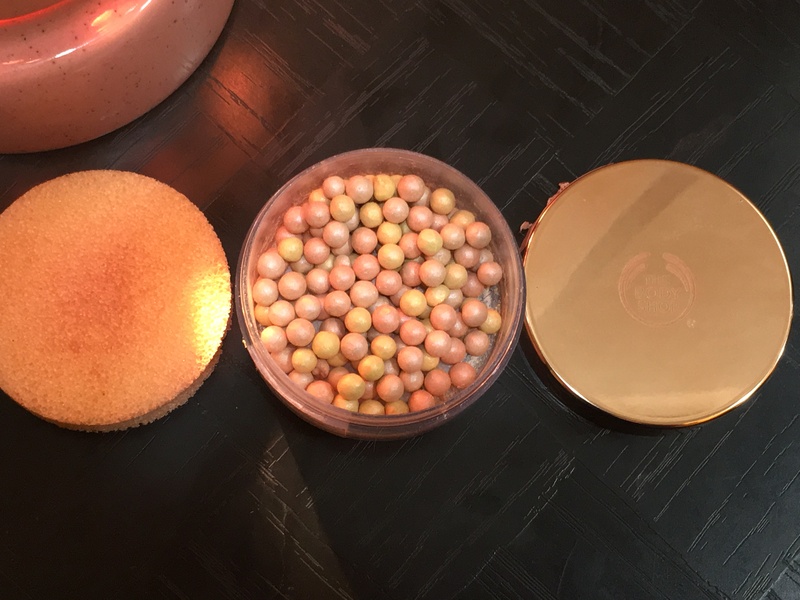 Three shades – bronzed rose, light-gold and champagne pearls – come together to create a flattering shade. Without any irritating or masked up fragrance, which is such a relief. Longevity of the product is enviable. Once bought, it will last you for years. Gives a sensual illumination to your skin without giving it an extra sparkly or flashy look. It can be used all over the body. The sponge applicator is of no use at all. You need to use a highlighter brush separately. One has to be extremely careful while its handling and application. 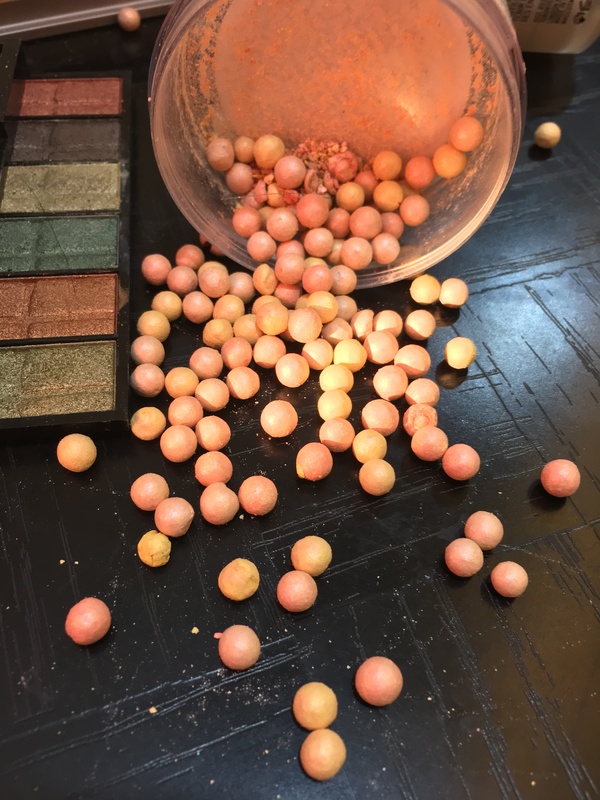 The balls can be nasty as they are extremely light weight and might bounce off easily. Apply using a blusher blush or a face and body brush. Never use hands while applying this product. Just sweep over the higher points of your face and you have a flush, radiant glow. Do not rub the pearls with force, or else its particles would get stuck in your brush and break.